Charlestown, Nevis–(October 5th, 2011) A Sitting of the Nevis Island Assembly will take place on Monday, October 10th at the Nevis Island Assembly Chambers, Hamilton House in Charlestown from 10 am. 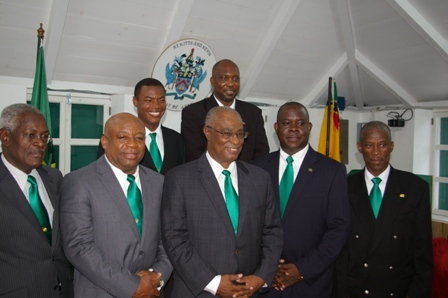 It will be the second sitting of the Assembly following the elections of July 11, 2011, when the Nevis Reformation Party (NRP) won the election with the majority vote in the 2011 Local Election on Nevis. According to a letter circulated by Mr. Dwight Morton, Clerk of the Nevis Island Assembly, the Order paper and the Bills to be debated will be presented to the media and public shortly.